While the warm and sunny summer weather may feel great for you, it can quickly get overwhelming for your dog as they’re out and about. Your dog pants to cool down as well as releasing a small amount of heat through the bottom of their paws. However, this may not be enough to cool them down quickly, and their body temperatures can start to rise to hazardous levels. It’s important to know the signs, treatment, and prevention steps of heat stroke in dogs because this allows you to keep your furry friend safe and healthy all summer long. If your dog gets overly warm, they could suffer from heat exhaustion first, and this can turn into heat stroke if you don’t treat them. Simply put, heat exhaustion is the first stage of heat stroke, and heat stroke occurs when heat exhaustion goes untreated. Generally, when your dog’s body temperature reaches 103 degrees Fahrenheit or higher before heat exhaustion starts to set in. If and when your dog’s internal temperatures reach 106 degrees Fahrenheit, this is the danger zone for heat stroke and the point where your dog’s organs start to shut down. Heat stroke can be a scary thing to go through with your dog, especially if you don’t realize what’s going on until the more severe symptoms start to set in. However, there are several symptoms that you want to watch for that can make it obvious that your dog is starting to suffer from heat stroke. As we mentioned earlier, your dog starts to pant when they get hot in an attempt to release some of the heat and lower their body temperature. Excessive panting is defined as panting faster or more frequently than normal, sounding harsher or raspier than normal, or they seem to be struggling to get air in and out. Heat stroke can cause your dog to act strangely or to respond sluggishly. Your dog may start to wander off or not come when they’re called, and their eyes may glaze over, and your dog may just seem to be generally confused. This reaction is very similar to human’s reaction with sluggish response times, glazed eyes, and general confusion. 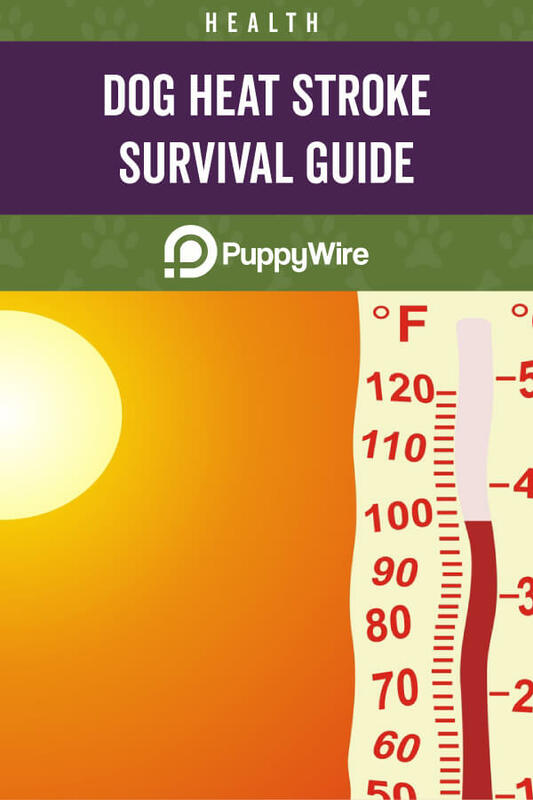 It gets harder and harder for your dog to function as their body temperature continues to rise. Your dog’s body will start to work harder to get rid of the excess heat that’s trapped in their bodies. Their pulse will start to race, and their heartbeat will get really fast in a short period of time. Their bodies will push more blood closer to the surface in an attempt to cool the body down by radiating the heat out. Take a good look at your dog and see if you notice their sides rising and falling rapidly or if their heartbeat seems very fast. 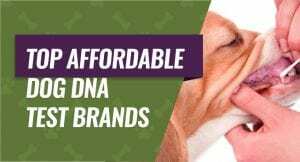 You most likely know what the typical shade of pink or red your dog’s tongue and gums are when they’re cool and healthy. However, they’ll start to turn a very dark or bright red color in the beginning stages of heat stroke. As the heat stroke progresses and gets worse, their tongue will start to turn an pale grey color while their gums stay the dark or bright red. This is also the stage that they begin to drool. As your dog’s heat stroke symptoms get worse, they’ll start to have more problems breathing and start drooling more. You might notice very thick and ropey trails of saliva hanging out of your dog’s mouth. This excessive drooling is your dog’s way of trying to cool down faster. The thick ropey trails of saliva can help your dog get rid of the excess body heat more quickly than just panting alone does. Your dog’s body will start to decline at a very quick pace if their body temperature reaches 109 degrees Fahrenheit. At this point, your dog’s cells will start to die at a very rapid pace, their brain will swell, they’ll convulse, ulcers will form on their GI tract due to restricted blood flow, and their kidneys will suffer irreversible damage due to dehydration. A convulsion or seizure is a surge or electrical activity or swelling in the brain that causes your dog to shake or flop on the floor uncontrollably. All of these more severe symptoms can take minutes from the first seizure until your dog’s body gives out and they die. This is why this condition is extremely dangerous. Obviously, the earlier you notice the symptoms of heat stroke, the better off your dog will be because you can start to treat it quickly. There are several things you can do to help safely cool your dog down and bring their temperature back to normal levels. Removing your dog from the hot environment is the first step in helping to control their body temperatures and stopping it from getting any higher. This cooler area could be indoors with air conditioning, outside in the shade, or anywhere under a fan. Get a rectal thermometer and check your dog’s temperature when you get them to a cool place. This will give you a good idea on how severe their heat stroke is as well as how far you have to cool them down. 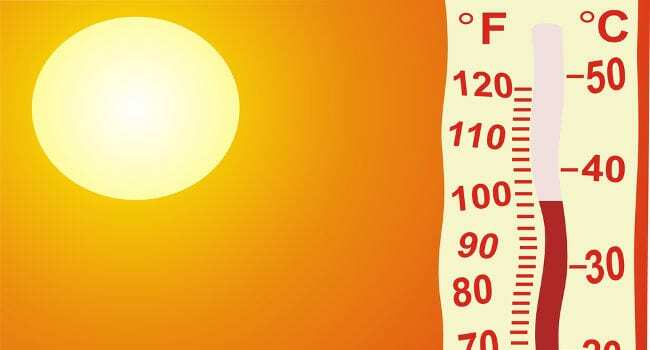 Heat exhaustion usually ranges between 103 and 106 degrees Fahrenheit with heat stroke ranging above 106 degrees. If your dog’s temperature is close to over 106, call your veterinarian right away because they’re in the danger zone. If you have a small child’s pool, you’re by a lake, or you have a bathtub, use it to cool your dog down. You want to get cool water flowing over your dog, but avoid cold water because this can send them into shock. Place a cold pack or a bag of frozen vegetables on your dog’s armpits, neck, and between their back legs. You can also put his paws in cool water to help speed up the cooling down process. If you’re using a pool or bathtub to cool them down, make sure that you keep their head above the water level, so they don’t aspirate any fluid into their lungs and cause further complications or inflammation of their lung tissue. Switch out the cold packs and alternate where you put them. Only leave them on your dog for a few minutes at a time before you take a short break. If your dog is conscious and willing to drink water, put a bowl of cool, fresh water by them and let them drink at their own pace. Don’t force them to drink and don’t give them ice cubes because this can send them into shock. If your dog isn’t able to hold the water down or if they are unwilling to drink, use your fingers and wet his tongue over and over again. 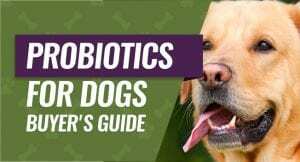 This can help get some water into your dog’s system without overwhelming it and causing them to throw up. As your dog’s temperature cools, contact your veterinarian and tell them that you’re bringing your dog in so they can check them over. Both heat exhaustion and heat stroke can have serious and lasting complications that you may miss or not know how to check for. Of course, it’s much easier to prevent your dog from getting heat stroke than treating it. There are several fast and easy things you can do to help ensure that your dog stays healthy and happy during the hot summer months. Most dogs love to play outside even when it’s extremely hot and humid, and the same goes for humans. Move your dog’s playtime indoors or restrict their outdoor activities when it gets very hot out. If they insist on playing outside, make sure that they’re playing in the shade, or you can incorporate water into their playtime, so it helps to keep them cool. Your dog should always have easy access to fresh and cool water, not just on hot days. If it’s very hot out, you want to check on their water every 30 minutes to an hour to ensure that they still have adequate levels. Also, rinse out your dog’s bowl and periodically give them fresh water throughout the day and evening hours. You don’t like drinking lukewarm water, and your dog doesn’t like it either. 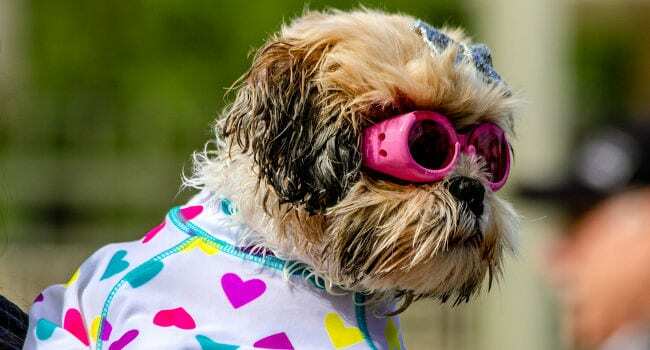 Some dog breeds love to play in the water, and a kiddie pool is a perfect way to let them play outside and stay cool while they do so. You do want to dump the water out and add cool water back in every few hours to ensure that the water actually cools your dog off when they get in and out. If your dog is primarily an outside dog or if you’re worried about keeping them cool when they’re out, you can use cooling aids like a cooling mat or a cooling vest. A cooling mat is a gel-based mat that activates when your dog steps or lays on it. It can give your dog up to several hours of cooling time before it has to recharge. Additionally, a cooling vest works if your dog likes to run around in the hot weather. Some of the vests come with gel inserts that you can freeze and place in compartments close to your dog’s body to cool them down. Others are designed to be soaked in water and put on your dog, so the cooler water temperature safely lowers their body temperatures. Dog breeds with thick or long coats are more prone to getting heat exhaustion or heat stroke because their coats trap and lock in excess heat. It also takes longer for a cooling vest or mat to work because it has to seep in through their coat. Consider trimming or shaving your dog’s coat at the start of the summer months. This will give them a cooler summer, and they’ll also have plenty of time to grow their coat back before the cooler autumn months roll around. If your air conditioner goes out and you’re miserable because of the humidity or heat indoors, imagine how your dog feels. It’s always a good idea to have a backup plan in place to ensure that you can get your dog somewhere safe and cool. Boarding facilities are a great option that will take care of your dog until you get your air conditioner fixed and make sure that your home is a safe environment for your dog. Talk to your veterinarian as well because many local veterinarian facilities offer inexpensive boarding options. The early morning and evening hours are the best times to take your dog on a long walk or let them run around outside. The hottest part of the day will be over, the sun will be gone, and the temperatures should drop significantly. You want your dog to have shaded areas to retreat to when the temperatures start to climb in the middle of the afternoon. This can be a tree, under a porch, or in a kennel with a roof. As long as your dog has access to shade and fresh water, they should be able to withstand the hot summer temperatures without heat stroke. Now that you know the common signs and how to treat heat stroke in dogs, you can work on the preventative measures. 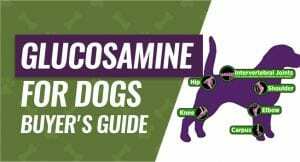 This will help keep your dog happy, healthy, and active all year round.